Mark Williams has done two floor refinishing jobs for me. In 2006, he refinished our downstairs hardwood floors and did a beautiful job. This spring, I asked him to look at refinishing the floor under my master bedroom carpet. It was painted a garish pink, and it looked to me like a hopeless case. Mark felt confident that he could do the job, and his confidence was well placed. The bedroom floor is gorgeous. In both instances, Mark proved to be a craftsman. He does outstanding work, paying attention to details and working carefully. 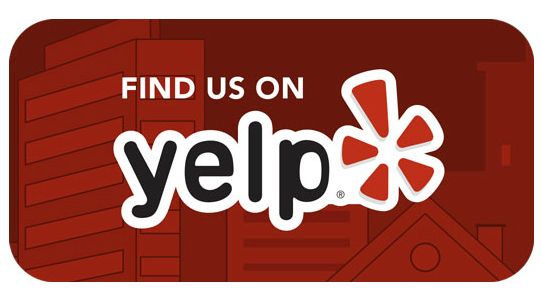 Mark works hard and efficiently, his prices are reasonable, he is reliable and he knows his trade inside and out. I would recommend Mark to anyone without reservations. Mark Williams, (Mark William’s Construction) without doubt, is one of Puget Sounds finest hardwood floor contractors. His dogmatic approach, combined with his exceptional knowledge & attention-to-detail, in this home-owner’s opinion, is unparalleled in home construction today. Five years ago Mr. Williams installed, in my University Place home, an exotic South American Pear Wood, (1,800 sq. ft.) floor & stair casing. His friendly & diligent attitude, & steadfast craftsmanship has gained strong praise from family, friends & neighbors alike, & has resulted in numerous homeowners visiting our residence to view Mark’s superb job, thus creating new jobs for himself. And not only did Mark do an exceptional job, in the past he has stopped by to see how the floor is holding up, and to offer help & advice in correctly maintaining our master piece. If you are in the market for a newly installed hardwood floor, or your current hardwood needs refurbishing, I highly recommend Mark as the man for the job. There is no one better. Member Comments: Mark did a great job. He laid laminate throughout the entire house. I get lots of compliments. Member Comments: Mark bid the job competitively and installed on mostly on schedule. Any installation problems were with the materials, not Mark’s work. He did an excellent job of clean-up and supervision of his employees. It was a pleasure to work with Mark. He made certain at every level of the job that we were satisfied and rectified the few problems promptly. Mark came out the next day to give me a bid. Started working the next week. He and his crew were prompt, professional (Covered all my personal things with plastic). Kept us in the loop daily as to what he did, what he would do the next day, and when he would be done. The floors and the stairs look outstanding! A job well done! Member Comments: We recently purchased a home and the previous tenants allowed dogs and barn animals to scratch the hard wood floors in the house. We hired Tacoma Hardwood Floors to refinish the floors. They were very professional and experienced. Job was well done and information was given how how to care for the floors. Mark was very professional from first contact. He was able to come give estimate at convenient time. This needed to be a fast turn around as this was a move into a new home. He worked over the weekend and into the evening to get the job done. The boards were a unique size and needed to be ripped to the appropriate size. Everything was good. They were on time. They were here when they said they’d be here. They’re very fast. After getting an estimate and realizing how much it was going to cost, we decided to wait. The price seemed fair. 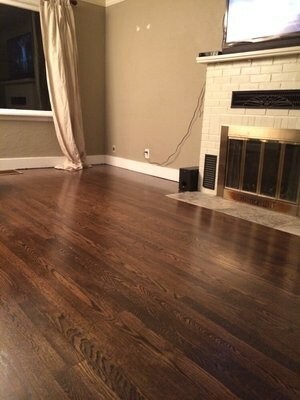 Mark from Tacoma Hardwood Floors was a pleasure to work with! He is knowledgable, responsive and cares about the quality of his craftsmanship. Mark even came up with a creative solution to reinforce and stabilize our 1926 curved staircase that had a plaster ceiling below it, making a traditional “fix” impossible. His innovative solution made our staircase safe and sturdy again. The refinished and stained hard wood oak floors and mahogany wood hand rail also turned out gorgeous! 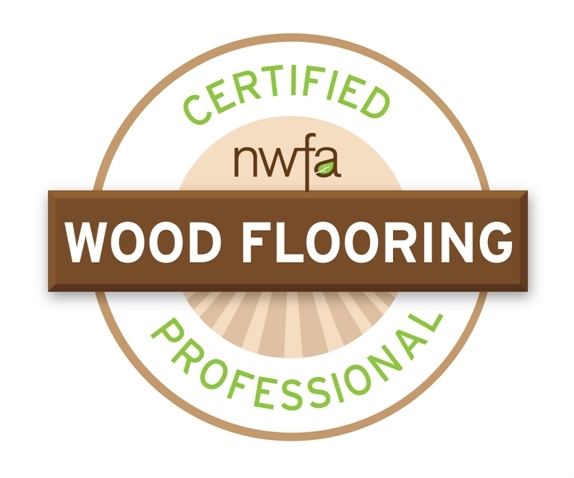 Description Of Work: Tacoma Hardwood Floors: I appreciated how Mark Williams, the owner of Tacoma Hardwood Floors actually answered the phone without my call going to voicemail. He came out the same day I called and gave me a written estimate and answered all of my questions. Because I wanted my job done yesterday, he scheduled my job for the following week. He and his employee, had to tear out an existing oak floor (and left areas that I wanted to save) and old kitchen vinyl that had multiple layers. When they got to the sub floor, they discovered a lot of dry rot, which was not unexpected considering my house was built in 1900 and remodeled a few times. The floor was also uneven in spots and needed to be leveled. The crew of Tacoma Hardwood Floors leveled my floors, which I did not think was possible. My hardwood floor was laid and sanded in 2 days! And then, I had the opportunity to choose a stain. Mark custom blended many stains and applied them to an area near my kitchen cabinets and made choosing a stain very easy. Once the stain was applied, next came the water based finish. I loved the water based finish because it did not smell and it provided great protection to my new investment. All of this work was started and finished in less than 2 weeks! I was extremely pleased with the helpfulness of Mark and the fact that he answered all of my questions. I was extremely happy with the finished oak floor! It was worth the 2 weeks of being “under construction”. Mark was thorough and reasonable with his bid and was highly aware of our expectation regarding quality and professionalism of the work to be done. oN TIME,,,, oN SCHEDULE FOR COMPLETION….aMAZING pRODUCT…. pRICE WAS WELL WORTH THE $$$….I will most definitely use him again…. I would also feel confident in referring him to my friends and family…. He Had the old carpet removed and brought my 1941 house in to the year 2012… Looks brand new. I am shocked that the old hardwood floors look like new.